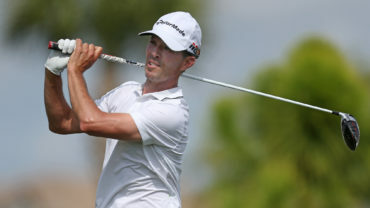 PANAMÁ CITY, Panamá – New Zealand’s Tim Wilkinson survived windy conditions on Thursday at the Panamá Championship with a 5-under 65 to take the first-round lead. Xinjun Zhang, Mike Weir and Brett Coletta sit T2 at 4-under-par, with four players one stroke behind at T5. The Web.com Tour kicked off its final event outside the United States on Thursday at the Club de Golf de Panamá, which has historically been one of the most difficult courses on the Web.com Tour as players battled windy conditions with gusts reaching up to 22 miles per hour. Wilkinson, who is making his 190th Web.com Tour start this week, had seven birdies on the day including four on his front nine. After two birdies on Nos. 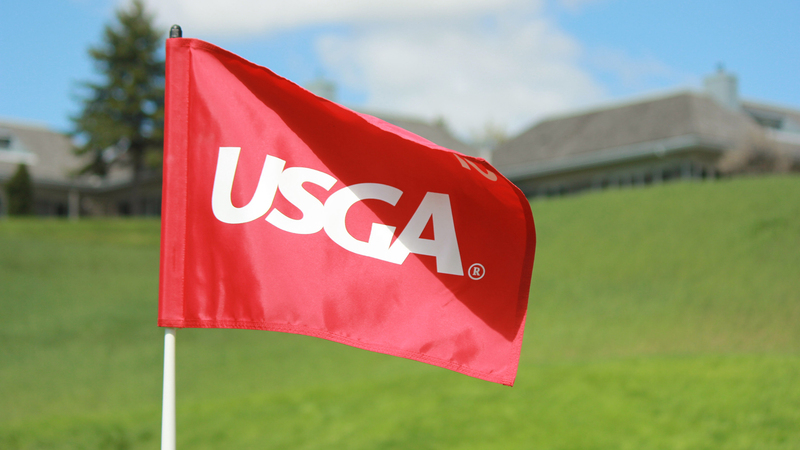 3 and 4, Wilkinson suffered a double bogey on the par-4 fifth, setting him back to even-par. He quickly bounced back with birdies on Nos. 6 and 8 to make the turn at 2-under and used birdies on 12, 16 and 17 to close out his round, earning him a career low at the Club de Golf de Panamá. The 40-year-old is seeking his first Web.com Tour victory and has 21 career top-10 finishes, two of which have come at the Panamá Championship. Sitting one-stroke off the lead is China’s Xinjun Zhang, who fired a 4-under 66 in his first round. Zhang opened Thursday with four birdies in his first five holes followed by 13 consecutive pars. Zhang finds himself in a familiar spot near the top of the leaderboard after he led the Country Club de Bogotá Championship last Thursday with an opening-round 61. Zhang was unable to hold on to the lead and eventually finished T34, but said he learned from the experience. 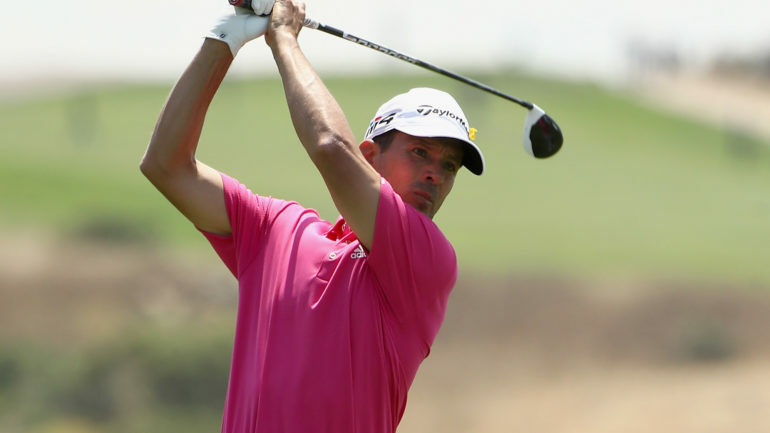 Tied with Zhang is Mike Weir, who is making his second Web.com Tour start this season. Starting on the back nine, the 2003 Masters champion found himself 1-over after his first five holes, but rebounded with birdies on Nos. 16, 18, 4, 8 and 9. 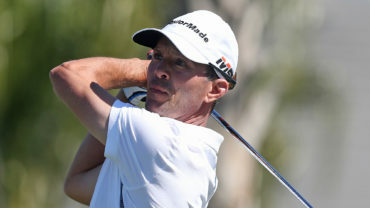 Despite being one of the shorter hitters in the field, the 48-year-old mentioned he feels comfortable in the windy conditions at the Club de Golf de Panamá. Joining Weir and Zhang at 4-under is Australian Brett Coletta, who had seven birdies and three bogeys on Thursday. Playing is his first Panamá Championship, Coletta birdied two of his final three holes and feels right at home on the firm and fast Club de Golf de Panamá. Four players currently sit 3-under at T5 heading into Friday.